The New Fibonacci Trader series (TNFT) of strategies are inspired by the book of the same name written by Robert Fischer. The Advisor's edge is based on market structure so its robust overtime and truly applicable to multi-symbols and multi-timeframes. 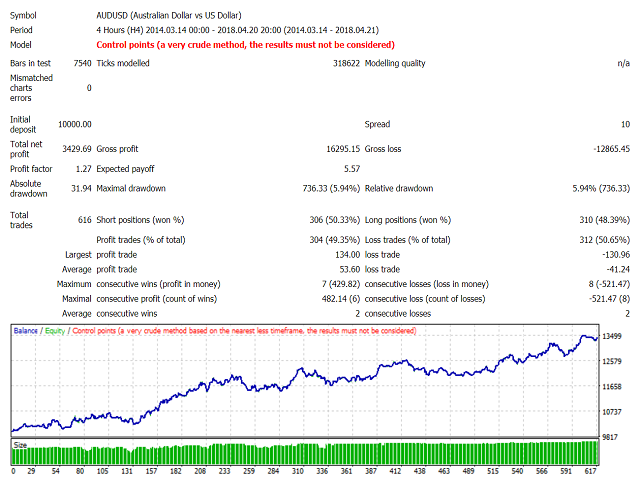 FIxed stop-loss (50pips), profit-target (50pips). The trading method is fundamentally sound so there is no need to optimise; however, it is recommended that the stop order coefficients are calibrated on the last several years of price history.